Almost all homes and businesses in North Whitehall Township are served by on-site sewage systems consisting of a septic tank and drainfield. State certified Sewage Enforcement Officers (SEO) contracted by the Township oversees and regulate these systems under the provisions of the 1972 Pennsylvania Sewage Facilities Act 537, one of the State’s first and most important environmental laws. 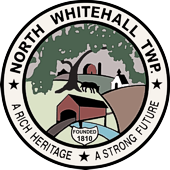 North Whitehall Township is believed to have more on-site systems than any other Township in the Lehigh Valley, mainly because almost all of its population growth the past forty years has been in housing developments where each property has its own on-site system. Many older homes and businesses have sewage systems built before 1972 and many of these systems are inferior or substandard to modern on-site systems. Often when these properties are sold, the old sewage systems fail to pass the private real estate inspections and need to be replaced by new systems that meet the modern standards of Act 537. A Township sewage permit must be obtained from the Township Sewage Enforcement officer (SEO) in order to construct or repair any on-site sewage system. Most of the apartment buildings in the Township, almost all the mobile home parks and one major housing development are served by privately-owned sewage treatment plants, which collect the wastewater from the homes and use biological and physical methods to clean the sewage before it is discharged to the nearest stream. These treatment plants are regulated with permits directly from the State. The Township SEO does not deal with these kinds of systems. The third kind of sewerage system in the Township are the publicly owned sewer systems, which are also permitted and regulated directly by the State. One of these systems serves the Timberidge housing development and some of the older homes in the village of Ormrod. The wastewater is collected in pipes and transported through the neighboring Coplay-Whitehall Sewer System to the Allentown sewage treatment plant. The Township owns the collector system of pipes and manholes which transport this wastewater. The other public sewer system serves the Wynnwood Terrace housing development at Laurys Station. 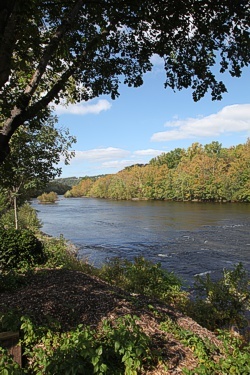 The Lehigh County Authority owns and operates this system, which collects the wastewater and treats it at a sewage plant before discharging the treated effluent to the Lehigh River. The residents served by these two public systems pay quarterly or annual user fees.